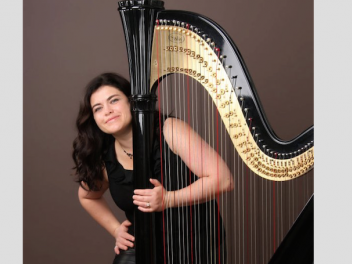 Our Harp Divas are the stunning combination of harp and the human voice created by harpist Karen Hickmott and vocalist Meinir Ann Thomas. They provide a beautiful sound for any event and are able to perform a broad range of musical styles encompassing classical, jazz, contemporary and music from the stage & screen. Live music can make all the difference to your special day. Used at the ceremony the music can be adapted to fit the flow of the occasion. At the reception it can be a wonderful interlude over pre-dinner drinks or soothing background accompaniment to your function. •	Classical harp music by Grandjany, Bochsa etc.